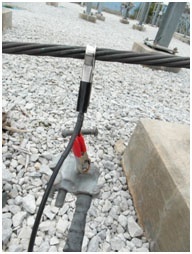 FAI offers both on-site cable testing and laboratory material testing of your cables. 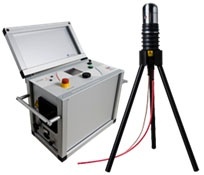 Our flagship Non Destructive Examination (NDE) cable testing tool is: LIRA (LIne Resonance Analysis). LIRA performs both a global and local assessment of your cable’s performance. 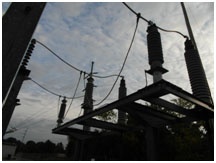 The global evaluation provides a complete assessment of the cable’s insulation performance. 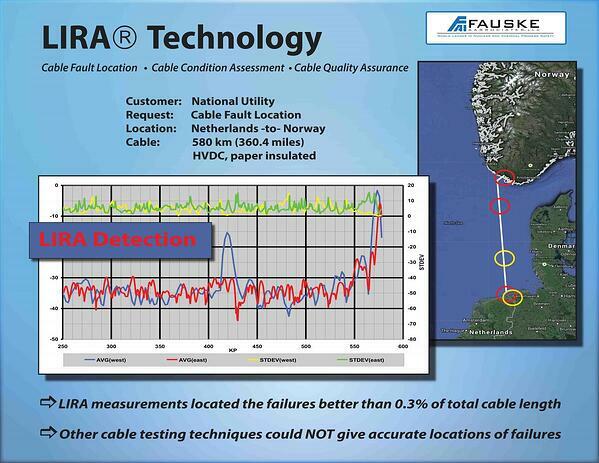 The LIRA local assessments can locate and localize cable insulation performance (i.e., degradation) issues. The following is a brief summary of a typical LIRA test, using a 3-phase tri-plexed cable as an example. Other cable types may have a slightly different procedure implemented. We use the HV Diagnostics Tan Delta test set for on-site evaluations. 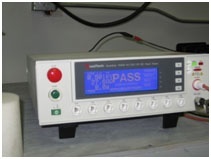 Tan Delta / Dissipation Factor testing of MV cables is one of the most widely used and effective non-destructive methods of detecting aging and degradation in MV cables.